MOSCOW (Sputnik) - The Israeli army detained 11 Palestinians suspected of terrorism amid the probe into the murder of Rabbi Raziel Shevach, the Jerusalem Post reported on Wednesday. The Israeli army carried out a military operation in the city of Jericho overnight in the West Bank within the course of the investigation, according to the Jerusalem Post newspaper. 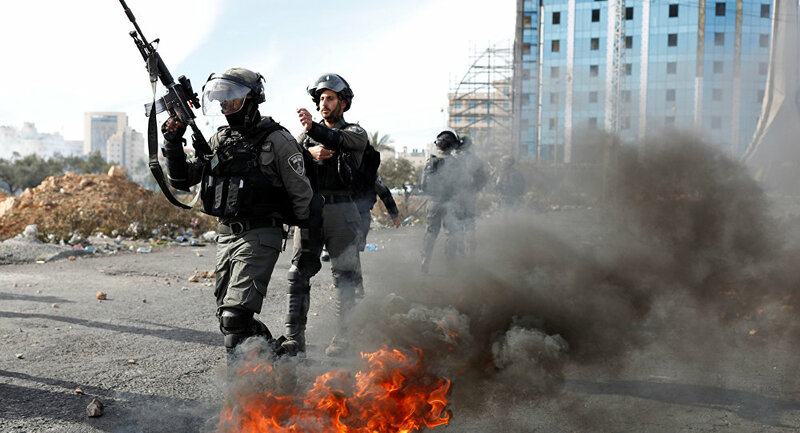 Up to 100 Palestinians reportedly threw stones at policemen during detentions. The army is currently blocking the Palestinian settlements and is deploying additional forces in the West Bank near Nablus trying to seize Shevach's murderer, according to the army. Defense Minister Avigdor Liberman stated, as quoted by the newspaper, that he has instructed the Defense Ministry to assist the family and residents of Havat Gilad. "The security forces are busy hunting down the terrorists who murdered Rabbi Raziel Shevach on the Havat Gilad farm. I feel the heavy mourning of his wife Yael and his six children," he stated. The investigation was opened after Rabbi Raziel Shevach, 35, a father of six children, was killed, as his car came under fire near the city of Nablus. Israel classified the incident as a terror attack. — Eylon A. Levy (@EylonALevy) 10 января 2018 г. The Israeli prime minister extended condolences to the family of the deceased and promised to find and severely punish the perpetrators of the crime. Envoys from the US and the EU have reacted to the attack, expressing their condolences to the family of the murdered rabbi. — Emanuele Giaufret (@EGiaufretEU) 10 января 2018 г. — David M. Friedman (@USAmbIsrael) 10 января 2018 г. — Michael Oren (@DrMichaelOren) 10 января 2018 г. The attack took place amid the recent spike of violence in West Bank, escalated over the controversial US President Donald Trump's decision, announced on December 6, 2017, to recognize the disputed area of Jerusalem as the capital of Israel and to move the country's embassy there. This move has met harsh criticism of Palestine and Muslim communities around the world and prompted numerous protests.